All the way back in 2008 I found out I was gluten and casein (dairy) intolerant and eliminated both from my diet completely for 3 months and after that about 95% of the time. I dropped one size immediately and had no migraines for seven months. After reading Robb Wolf’s The Paleo Solution in 2010 I went full on paleo and dropped a couple more pounds, was exercising regularly, but couldn’t seem to get rid of my muffin top. Then I saw the chart above, incorporated the information and over three months I lost another two full pant sizes. It completely got me off of “counting calories” and rid of the idea that you can out exercise bad food choices. I was eating great tasting, nutritious, filling food and improving my body composition. What a concept. I also haven’t had to take antibiotics since I made this change. Glean what you want from that. Sugar/bad carbs? No bueno. 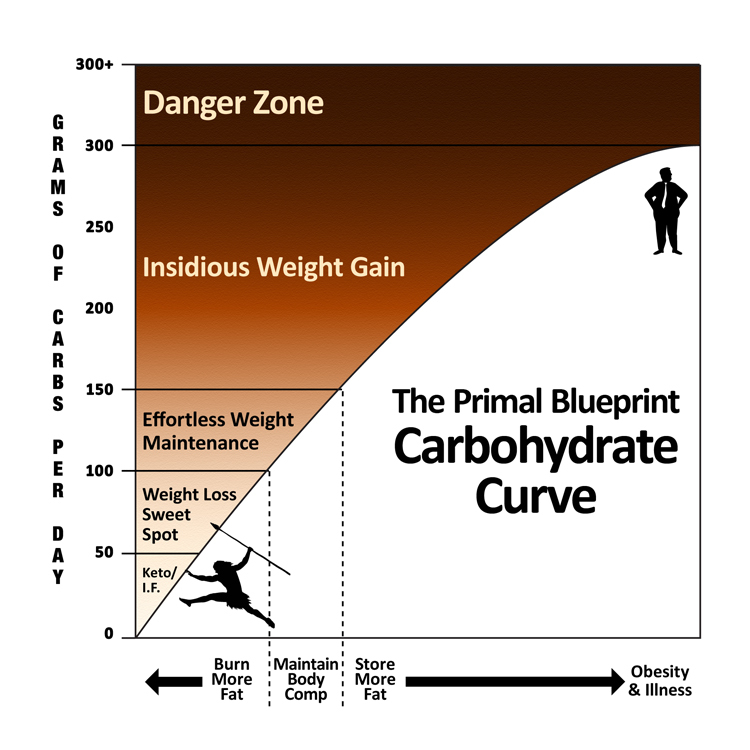 Over the past few years I’ve read extensively about diet and exercise and know for me the 80/20 rule is true. Eighty percent of your health, weight and body composition is your diet. You need to quit thinking you can eat whatever you want and then go exercise it off. You are either feeding & healing your body or damaging it. If you are fat, diabetic, suffering from arthritis or generally sickly you need to give your body real food. You can’t medicate away bad food choices. You need to heal your gut and regain control over your health. He has so much great information!